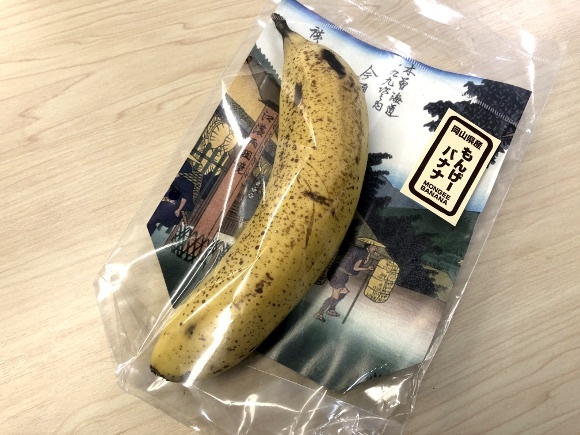 If you’ve ever been to a Japanese department store in August, when they’re selling mid-year gifts, you’ll know that fruit can fetch some pretty high prices in Japan. High-end fruit can cost upwards of the equivalent of 10,000 yen, and at any time of the year, even basic grocery store fruit like apples and pears can, for certain varieties, cost 200 to 300 yen each. Nevertheless, fruit makes up a delicious part of Japanese food culture, but what would you think is the most consumed fruit in Japan? 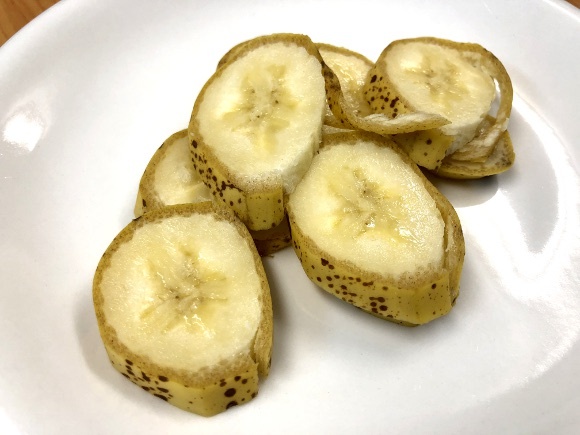 The Mongee Banana is a very special banana. 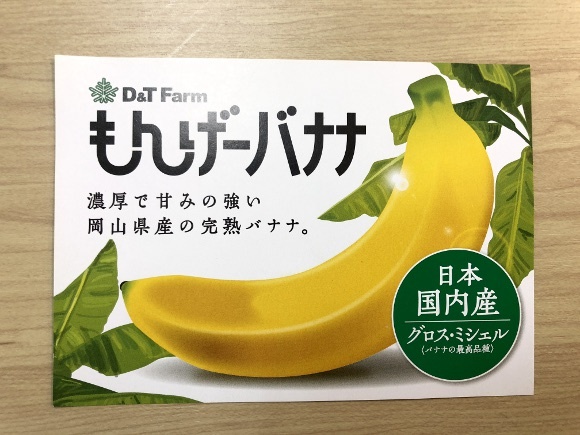 It’s only grown in Okayama Prefecture, and they only sell 10 bananas per week. 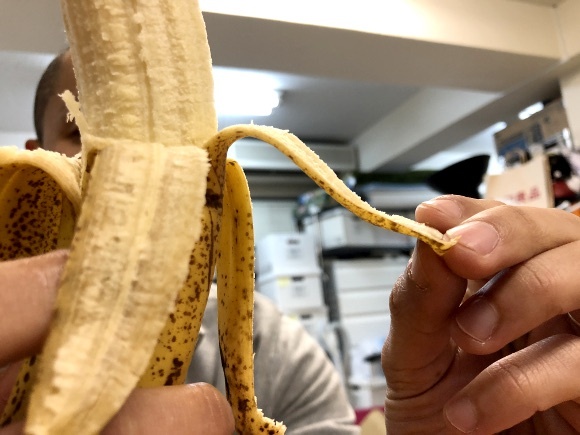 One banana costs 648 yen, but the most interesting thing about this banana is that you can eat the skin! P.K. was the only one brave enough to just eat the skin…he said it was bitter, but not inedible. 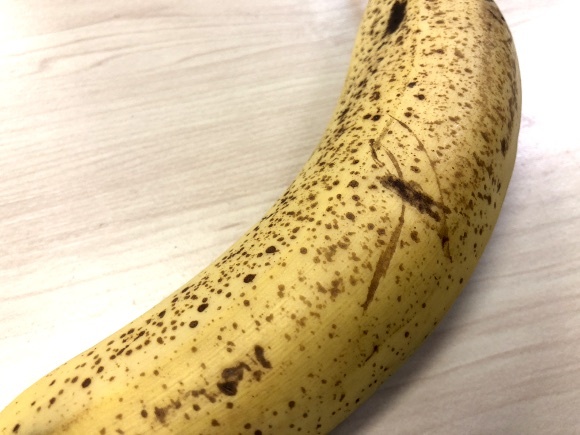 So let it be known, the Mongee Banana is definitely special! 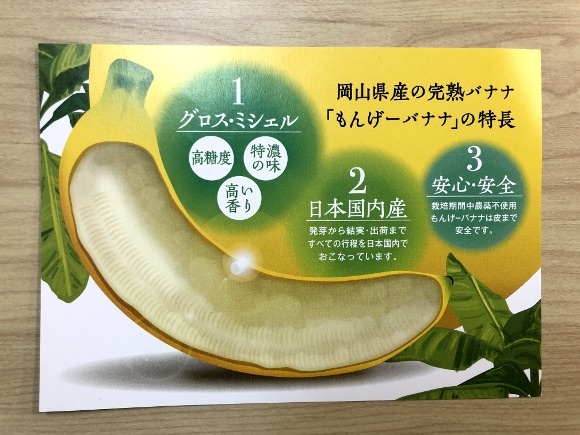 This top class, genetically enhanced, tropical-flavored banana is probably going to be difficult to get your hands on, but if you find yourself in Okayama, be sure to take a peek in Tenmanya. These bananas are really “mongee”.